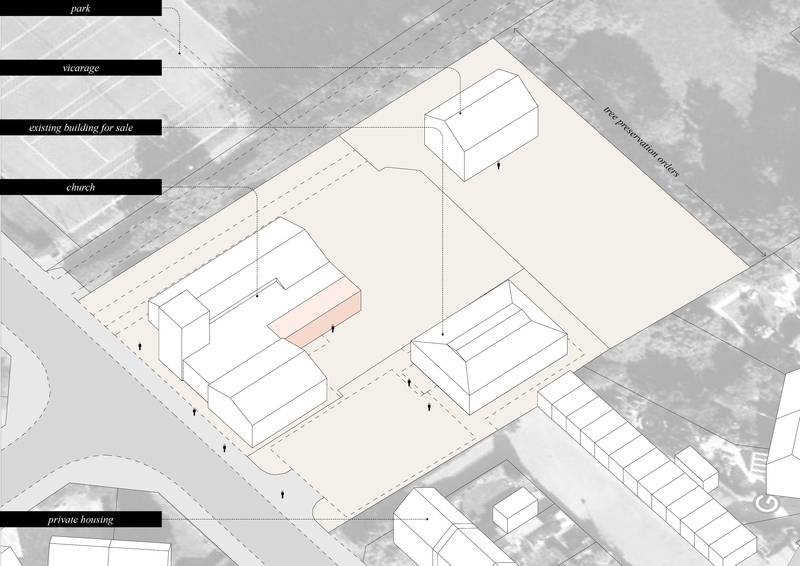 This small master planning project sees the redevelopment of a Church Site within close proximity of the urban centre of Norwich. The principal aim of the project is to maximise the potential of the entire site by proposing a mix-use development, encompassing a range of community assets, residential plots and special care facilities. The specific built elements of each option put forward included: church redevelopment and extensions, semi detached houses, affordable social housing, residential care home, doctors surgery, community sports facility and a strategic paved links across the site. The process involved a significant amount of client and public engagement to understand the requirements of the local area. An urban analysis procedure was also undertaken to be able to position the various development options within a wider commercial and public aspect.